Ada pertanyaan untuk Ozstays Katz Apartment? Jika apa yang Anda cari adalah hotel yang terletak strategis di Melbourne, carilah Ozstays Katz Apartment. Hanya 22.0 km dari pusat kota, lokasi hotel yang strategis ini memastikan para tamu agar dapat secara cepat dan mudah mencapai ke tempat-tempat menarik. Wesley Church Melbourne, Lepicier, Perpustakaan Victoria juga bisa dijangkau dengan mudah. Fasilitas dan pelayanan yang ditawarkan oleh Ozstays Katz Apartment menjaminkan pengalaman menginap yang menyenangkan bagi para tamu. Hotel ini menawarkan sejumlah fasilitas di tempat untuk memuaskan segala jenis tamu. Akomodasi hotel telah dipilih secara cermat demi kenyamanan maksimal dengan adanya televisi layar datar, kamar bebas asap rokok, AC, penghangat ruangan, meja tulis di beberapa kamar. Disamping itu, hotel memiliki berbagai pilihan fasilitas rekreasi yang menjamin Anda melakukan bermacam hal selama menginap. Nikmati pelayanan tidak terbandingkan dan penginapan yang sungguh bergengsi di Ozstays Katz Apartment. Perlu diketahui bahwa apartemen dibuka mulai pukul 09:00 hingga 18:00 pada hari kerja dan mulai pukul 11:00 hingga 15:00 pada akhir pekan dan hari libur nasional. Mohon menghubungi kami untuk mengatur check-in mandiri jika Anda tiba di atas jam operasional dan diperlukan pre-otorisasi kartu kredit untuk hal tersebut. Lahan parkir di luar properti tersedia dengan biaya sebesar AUD 20 per malam. Diwajibkan melakukan pemesanan lahan parkir terlebih dahulu. Can’t Check in by staff after 4pm, need email all personal documents even you said the security issue you concern. No WhatsApp, line, WeChat or even fax. 5 days no clean up room, full of penalty notice inside the apartment to remind you can’t do this can’t do that or how much deposit you will deduct. Drop lagguage only till 3 pm due to staff off. We booked for two room apartment,and trust me the apartment was so smelly and our view was facing rubbish dump at the back of some random building and at night u can hear the rubbish truck clear the rubbish.it was so awful. With the amount we paid we could have stayed somewhere better,which we have to go through hard time with Agoda customer service to cancel our booking and refund the cash via agoda to book another place.We stayed for a day and left. Dont ever stay here its a waste of money. Having read reviews after booking, I was apprehensive, however, the apartment was perfect for what we needed. Spacious, comfy beds, quiet. Clean sheets and towels but the apartment itself could probably benefit from a good cleaning. Great little apartment! My only complaint is not being able to lock the balcony door as apparently if you don't check in by 3pm you don't get a key for it?? Strange as you can get a key for the front door after 3pm. Based on the previous reviews of the place I was apprehensive of my expectation that I made the right choice of place to stay. However, the place turned out to be very satisfactory and wifi is good contrary to reviews by former customers. If all other rooms are similar to Rm 301 then I would say very satisfactory. 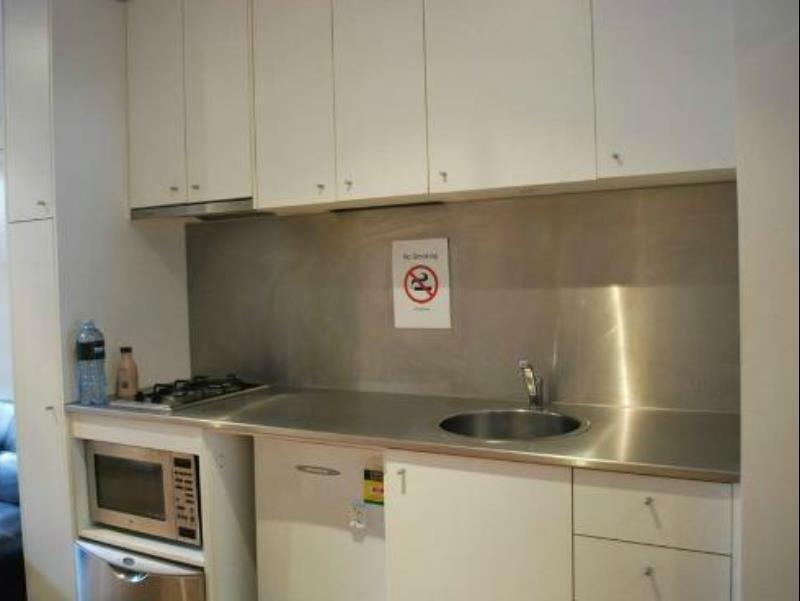 The location is very accessible to public transport and walking distance to Federation Square. The construction site across the road starts at between 6:30 and 7. The place is clean enough, but clearly gets the bare minimum of maintenance. From the broken sign at the front door, the security camera flash that goes off every time you get out of the lift, the bedcover was clean but holey, the toilet flush button you have to jiggle to get it to stop running or the door lock that sticks. Its all just a bit tired. That said the bathroom is spotless and the sheets were as good as new and street noise aside I loved the location. Its cheap to stay at so if that's what you are most interested in give it a go, otherwise I'd steer clear. This is the worst apartment ever. Period. The wifi is barely usable! There are no toothbrush, nor soap provided. The entire place is run down. There's a homeless person sleeping at the entrance at night. The bed is uncomfortable, just a roll out. Please, don't ever stay here. I don't usually give bad reviews on my accomodation, but this apartment is only good for the location. We had to change room twice as there are bed bugs on the mattresses. The staff was also not there when we want to check out, we waited from 11am to 12.15pm but no staffs came. Then we went out for lunch, shortly after, I received an email that say 'Please kindly note that lost keys and fobs will incur a $200 penalty and must be reported to Ozstays Pty Ltd immediately. Keys not returned by check out time will incur a $50 fee to replace the locks.' There is no staff in sight, how are we able to return the keys??????!!!!!!! The staff, when you can find them, are rude and unhelpful. Reception is only open between 11am and 4pm. There is no service, so no clean towels, no beds made etc. you must take out your own rubbish when leaving or you’re charged a Rubbish Disposal Fee. The only good thing about this place is it is located right in the middle of the city. The room 307 that we were given had a awfully sagging mattress . Very near to QV which you can find the biggest Woolworths in the city and near to Chinatown. The shocking and horror is the toilet light is not working and we keep shower in the dark for 3 days. The Living hall air con keep drumming and hitting the wall at night and we all unable sleep well. No matter what, the management need look into to makeover the apartment to become better place to stay in. I think maybe in future Ozstay apartment may upgraded to become star apartment due to this great location Overall quite a okay place for a short stay. The floor was a bit dusty but bearable when I moved in. For the first few days, I thought that there was no room cleaning service and I got a shock a few days later to find the apartment has been entered into and cleaned. Somehow, there was no "do not disturb" sign to hang on the door. Other than that, the place was well equipped with washing machine, clothes dryer, tv, fridge, oven and all. 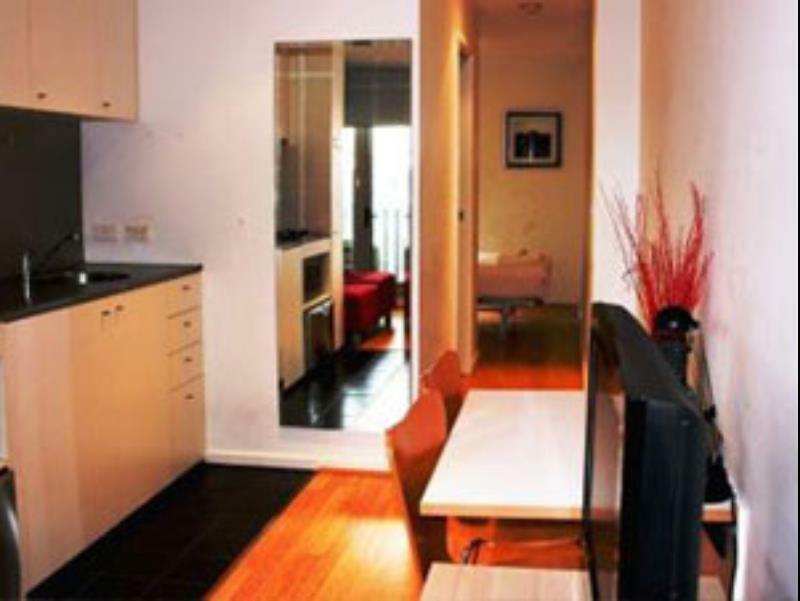 Very convenient location near Chinatown and the rest of the CBD. The staff can't do enough for you, the washing machine in the apartment I was in wasn't working when I arrived with no clean clothes for the next day, so they rearranged a bunch of bookings to get me access to the washing machine in another (now) vacant apartment on my floor. The broken washing machine was then replaced in my apartment in 2 days. How awesome is that? The first room that we were given had a awfully sagging mattress with deep hole sinking in the middle of it. Requested for another room but the mattress is not any better. The retractable bed is not an good idea. It lets out an annoying squeaking sound wheneven u turn in bed and it looks very weird too to see the bed sticking out from the wardrobe. Will definitely not going back to Ozstays. This ozstay is the second time v stay. Great location and polite friendly staff . We will recommend to our relative to.stay if they visit Melbourne. Feel comfortable even though second visit. Great location and friendly staff. I think maybe in future Ozstay apartment may upgraded to become 2nd star apartment due to this great location . You won't be regret whenever you stay. OVERALL OUR STAY WAS VERY PLEASANT. 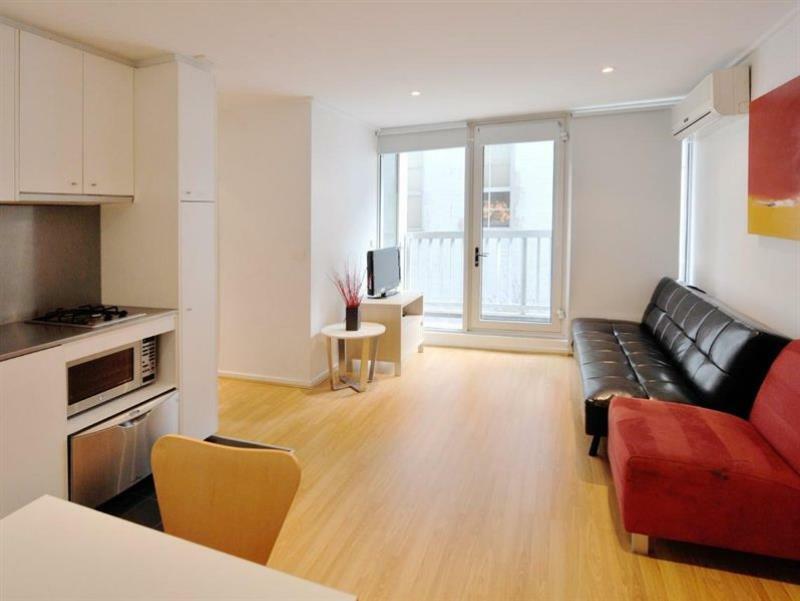 EVENTHOUGH THE APARTMENT WAS A BIT SMALL COMPARED TO THE PICTURES GIVEN ON ITS WEBSITE. BUT WE SELDOM SPENT OUR TIME IN THE APARTMENT, SO IT IS GOOD ENOUGH FOR ME AND MY FAMILY OF 3 SMALL CHILDREN. HALAL FOOD JUST NEXT DOOR OF THE BUILDING AND THE SHOPPING AREA JUST A WALKING DISTANCE. THE APARTMENT WAS CLEAN AND AMENITIES ARE GIVEN EXCEPT FOR TOILETRIES. STAFF IN FRONT DESK WAS HELPFUL AND FRIENDLY. I have no regret staying at this Apartment. 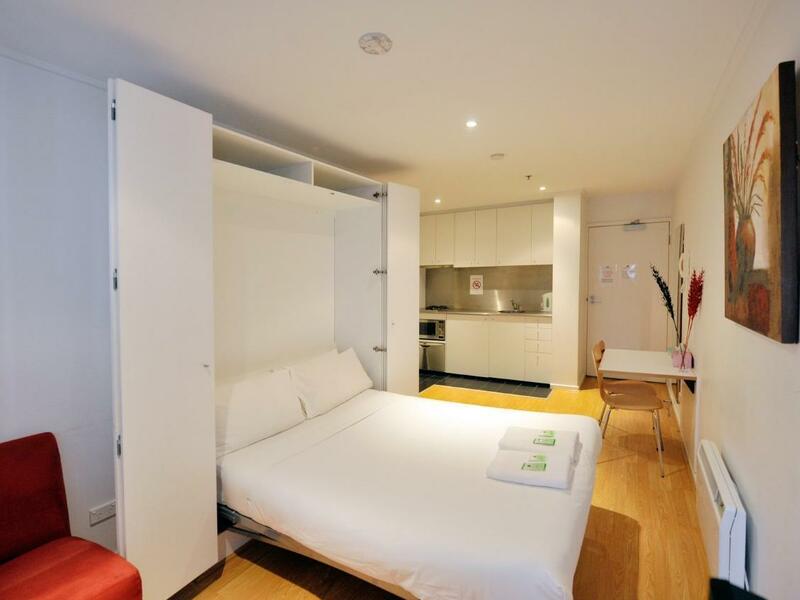 It is very spacious and comes with free laundry service and free detergent. However, no toiletries provided so make sure you bring your own. The best thing about this Apartment is the location. Tram station is just 2 mins walk away. The Central Station is within walk-able distance too about 8 mins away. Tram service is free as long as it's within the Tram Free Zone. Therefore, I did not spent even a single dollar on transportation moving around the City. This is the reason why I love Melbourne so much. You can book Bluebird for your door to door transportation from Airport to Hotel at AUD18 per person. Same price as Skybus but this gives you a direct stop in front of the Hotel. Very reliable and on time service. Recommended attraction: 1) Queen Victoria Market - From Hotel hop on to any tram on La Trobe Street moving towards left Direction. Switch tram at Elizabeth St. toward North Direction. Disembark at Queen Victoria Tram Stop. 2) Federation Square - From Hotel hop on to any tram on Swanston St. towards South Direction. Disembark when you reach Flinders St. 3) St. Patrick's Cathedral - From Hotel hop on to Tram No. 35 on La Trobe Street moving towards right Direction. Disembark at Albert St./Nicholson St.